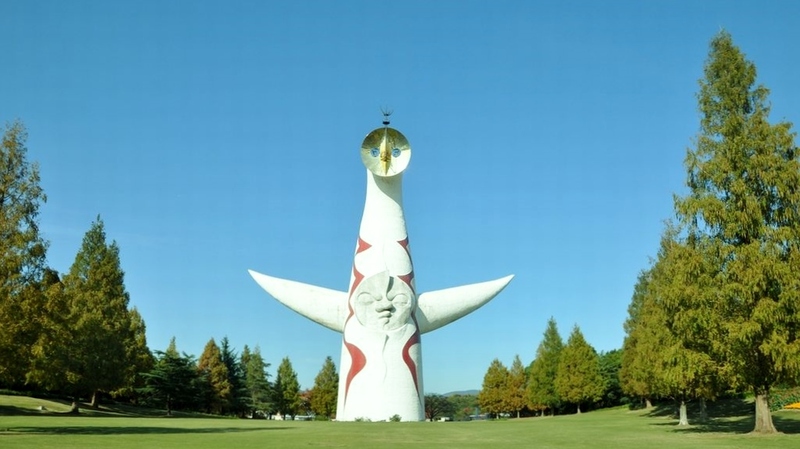 A variety of flowers bloom seasonally under the symbolic “Tower of the Sun” in this massive park. The Expo’70 Commemorative Park was built on the site of the 1970 Japan World Exposition. The 260 hectare park is located in the northern outskirts of Osaka. There still remains a few of Expo’70 features, such as the Japanese garden and the Japan Folk Crafts Museum. The former site of the world pavilions are now forests and seasonal flower gardens. The park has five areas; the Japanese garden, the Natural and Cultural gardens, the Cultural institution and a sports and recreation area. There are several large open lawns with ample space for picnicking and for families and friends to enjoy themselves and the flowers. A variety of flowers bloom seasonally in the Expo’70 Commemorative Park. For example, the plums blossoms in February and the cherry blossoms in April are beautiful. Tulips, roses,hydrangeas, sunflowers, irises, lotuses and, of course, autumn colors – you can enjoy them all through the year. The Natural and Cultural Gardens have green forests and large grassy fields. You will feel relaxed in the natural environment. There are 124 kinds and 600 plum trees in the natural culture park, and 37 kinds and 80 plum trees in the Japanese garden. The park is now well-known as a place for viewing cherry blossoms, featuring around 5000 cherry trees all over the sprawling grounds. Most of the cherry trees can be found around Higashioji Street and the East Plaza. During the season, the park holds special sakura festival events, which include a large open air craft market, food stalls and live performances. The park also illuminates many of the trees at night. 30 kinds of 4,000 hydrangeas will beautifully bloom at the Expo’ 70 Commemorative park. Pokémon Expo Gym is an entertainment facility produced by Pokémon in Osaka. You can try some Pokémon attractions. The store has a wide range of Pokémon goods.